Once in a generation, there comes an album that changes everything. A genre defining classic that results in the music world never being the same again. That’s what recent hype has led us to believe about the Foo Fighters album. 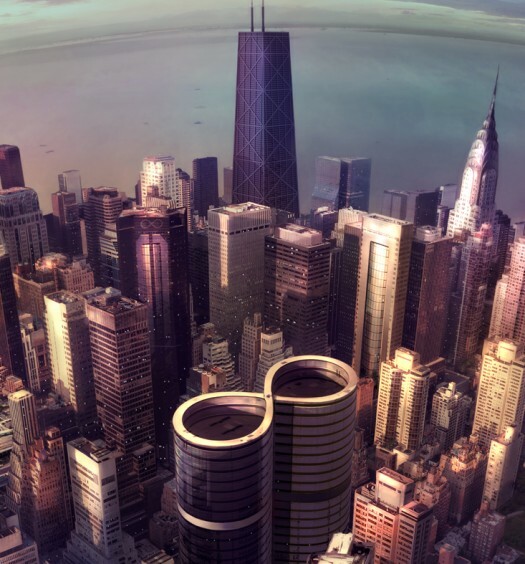 Coinciding with the fantastic Sonic Highways TV series, the album was billed as a genre defying journey through America’s rich musical heritage, destined to set the world ablaze. So, after months of anticipation, does the album live up to these lofty expectations? Perhaps it was the hype around the album, or the fact that 2011’s ‘Wasting Light’ was an absolutely raging modern classic (White Limo. Ooft. ), but something about ‘Sonic Highways’ just doesn’t seem right: opener ‘Something from Nothing’ has some interesting ideas, but they come about 3 minutes in to a four minute song, and have little time to flesh out; ‘Congregation’, brilliant guitar solo aside, is just another standard, sing along Foo Fighters anthem; ‘What Can I Do/God As My Witness’ is a dull semi-ballad, and ‘Subterranean’ is a dreary grunge song, more reminiscent of a Nirvana B-side than the usual stadium-bothering anthems that Grohl and co usually conjure up. Another element of this album which lets it down is the lyrics. Now, as much as I worship Dave Grohl, his lyrics are sketchy at best, ranging from rousing, emotionally driven tales of heartbreak and loss, to a collection of tired clichés. For this album, sadly, it’s the latter. Seeing as the whole point of the ‘Sonic Highways’ project was to inspire the band, and Grohl, to broaden their horizons, the lyrics are boring and altogether uninspired: ‘There are places I don’t remember/There are faces I don’t remember’ being a particular low point. Honestly, I’ve heard more poetic things coming from Fred Durst. Granted, it’s not a terrible album, and there are moments where the band’s brilliance shine through: ‘Feast and the Famine’ is a fast-paced punk anthem with a massive chorus; the L.A. inspired ‘Outside’ is desert rock updated for the modern age; ‘In The Clear’ is a bog-standard Foos anthem that is elevated hugely by the inclusion of the New Orleans Preservation Hall Jazz Band; and ‘I Am A River’ is an epic closing ballad, complete with string section. And I can hardly fault the musicianship. Taylor Hawkins is an astounding drummer, and Chris Shifflet’s solos have never sounded better. Of course, Dave Grohl’s voice is on top form, but that’s to be expected.